I'm so thankful to have today off for Lincoln's Birthday! I need some time to get things ready for a busy week ahead. I have some great Valentine's and President's Day ideas to share with you for this week, including a giveaway of some fun and useful packs! 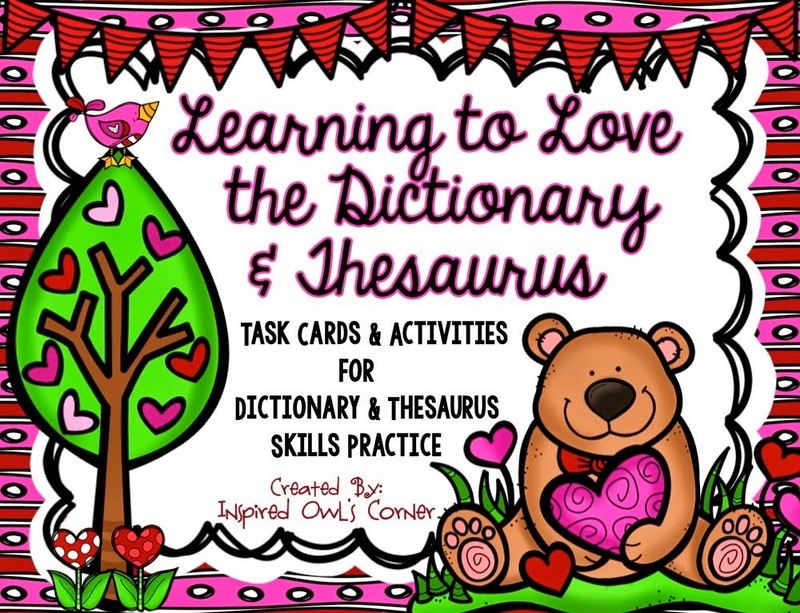 On Friday, my students practiced dictionary and thesaurus skills with my new pack, Learning to Love the Dictionary and Thesaurus. Included are seven sets of task cards that cover alphabetical order, guide words, synonyms, antonyms, and shades of meaning. Students use the dictionary and/or thesaurus for most of the task cards. I knew the kiddos were having a difficult time using the dictionary to edit their writing, but now I know that we really need to hit this hard this coming week! 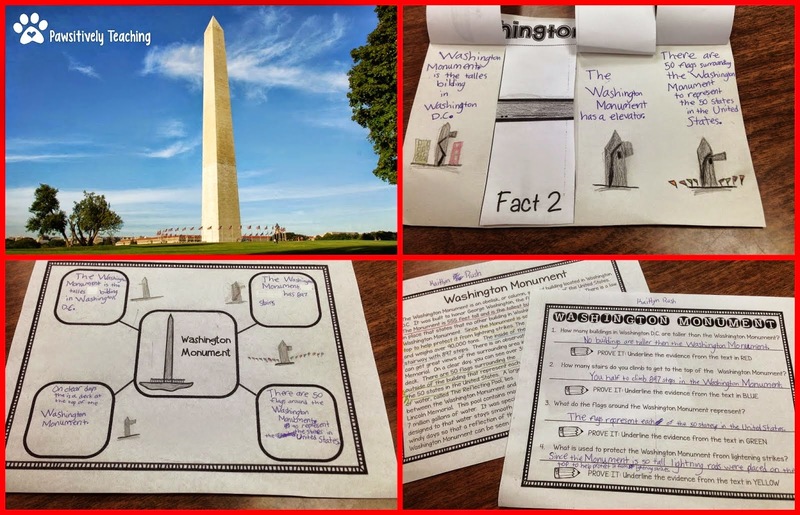 I might make a few more sets of Guide Word Geniuses and Dictionary Scavenger Hunt (shown below) so the students can practice more on these much needed skills. Most of my students had never used the thesaurus before, so we had a discussion about how to use them. They practiced synonyms, antonyms, vocabulary skills, and shades of meaning on Friday. My plan is to continue studying dictionary and thesaurus skills throughout the year, and make these cards available to students to grab and go during Daily 5 or Choice Time. I love the little bags below from Target Dollar Spot for this purpose. These cards would be perfect to use even after February is over. My kiddos were engaged and on task while they worked on their cards for about an hour! I have included a set of full color and a more printer friendly set with the backgrounds removed. I would like to give one of these packs away! 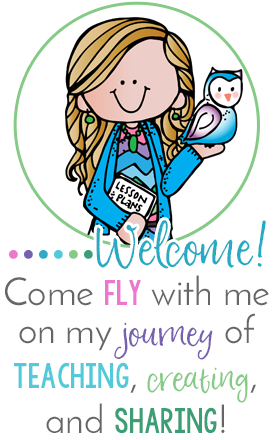 Just leave a comment below about what you are planning to teach this week, and I will randomly choose one lucky winner! 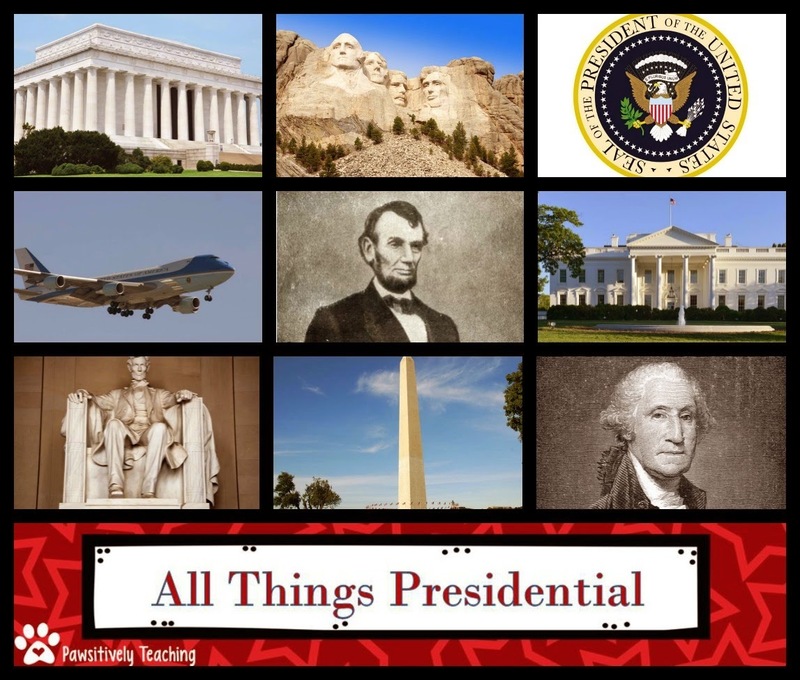 Do you have plans of teaching about the presidents this week? If you do, then this pack is a must-have! 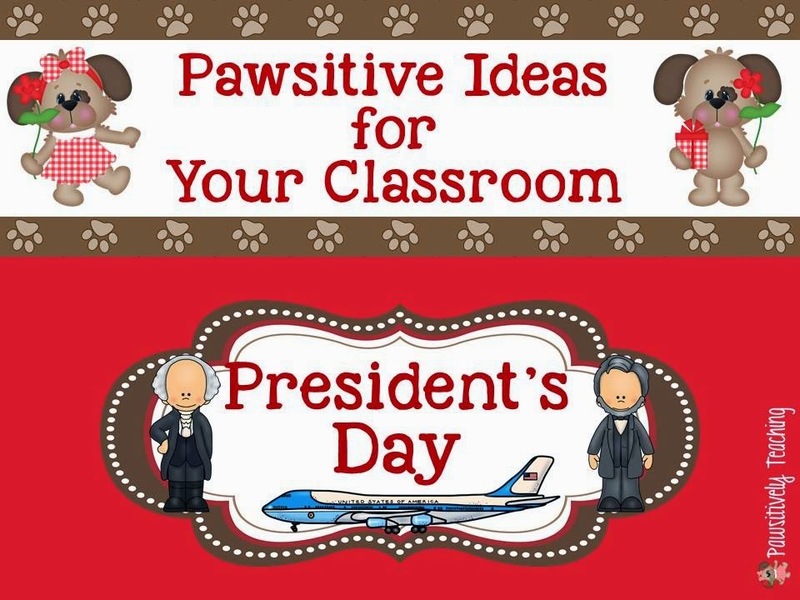 It's PAWSitively Teaching's All Things Presidential pack, and she's letting me give one of them away with my pack as well! 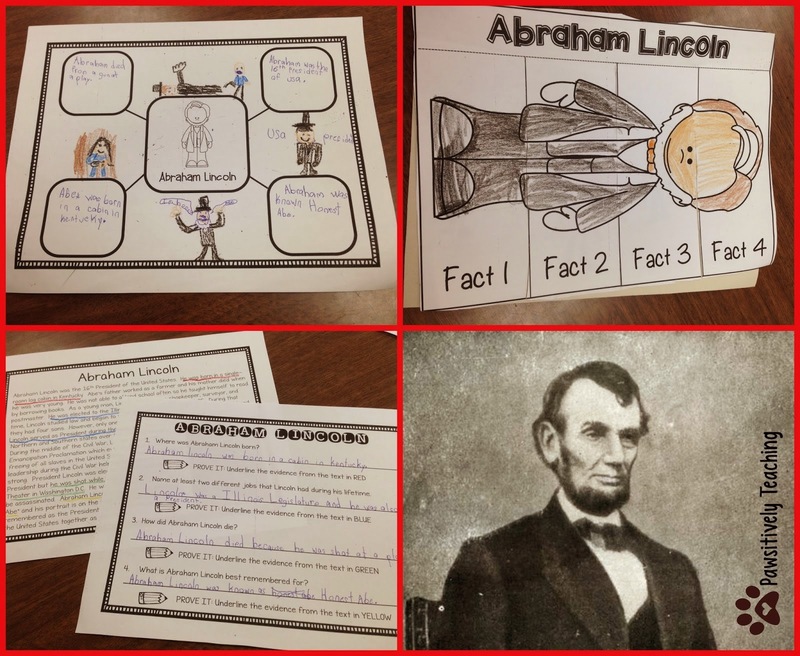 This file is filled with nonfiction reading passages and plenty of opportunities for students to respond to text based questions. Take a peek below at a fraction of what is included! I am excited that my students received their devices last week. We are still working out some technological kinks, but I was able to send parts of this amazing pack to their devices using One Note and their digital notebooks. My students will eventually be able to use their tablets instead of paper copies to complete their assignments. I'm excited to not have to make so many copies! Are you in need of more President's Day or Valentine's Day ideas? 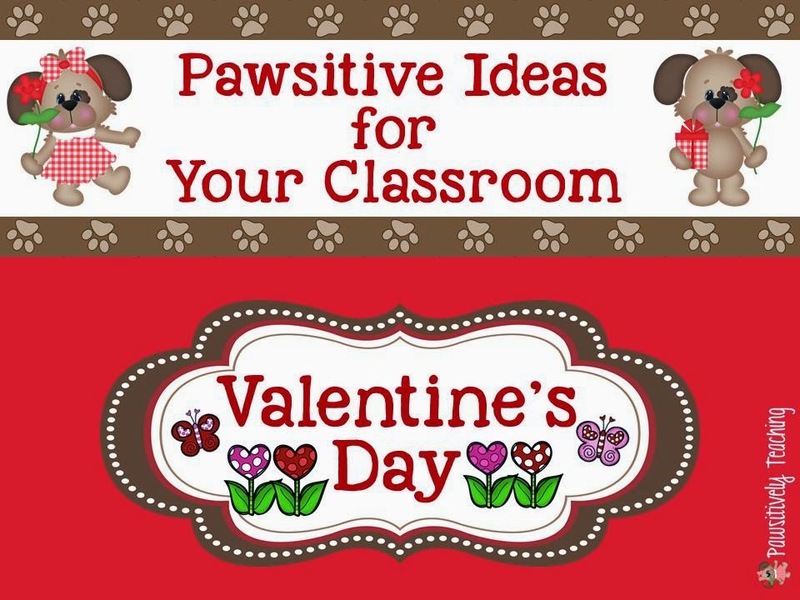 Check PAWSitively Teaching's blog by clicking on the pictures below to see many more ideas, videos, books, and other resources that you will find helpful for the coming week! She is a wealth of knowledge! Be sure to check HERE for more Valentine's Day freebies and ideas from me! Leave your comment below about how you plan to spend your week and your email, and I will announce a winner tonight! Snow day today...busy planning my Valentine and Presidents' Day activities. This week we are focusing on Random Acts of Kindness and discussing theme while getting prepared for Valentine's Day and president's day! Busy week for sure! We are working on story structure and addition with regrouping this week.